- Our new release with latest peel-off technology. More durable, and easy to change! - Water Based, free of smelly and harmful chemical solvent. - Key material from Germany for best quality. Quick drying, long lasting, eco-friendly. - The peel-off technology frees you from using the volatile chemical remover. - Changing your nail color is now as easy as changing clothes, more fun, less hassel. The latest 2nd gernation products with new peel-off technology! 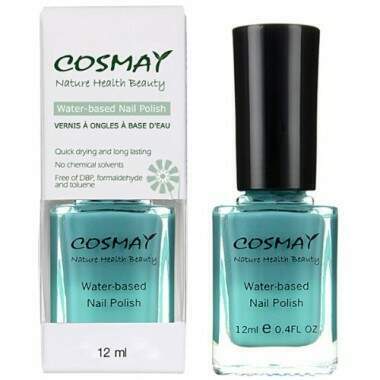 Built on years of dedicated developments, Cosmay brings you this state-of-art water based nail polish series free of toxic chemicals. Made of water, herb extractions and non-toxic colorants, this green product provides those shy of toxic chemicals (people with allergic skin, pregnant / nursing moms, young kids etc) a safer beauty alternative. The water based, ordorless, non-flammable nature makes it perfect for traveling, public or business environment.